Engage with the instructor and other students in person by attending Live Classroom training. Our facilities are equipped with the essentials for a productive, comfortable learning experience. The instructor delivery location changes per class, so please confirm where the instructor will be teaching from if you prefer this method! For those who prefer the classroom experience but looking for a close-to-home option, we have 50+ Established HD-ILT Facilities across North America reducing the time and cost of travel. The high-definition video equipment and enhanced audio at these established sites will fully immerse you in the class. Everything will be set up and ready for you prior to training, and customer service teams are available to answer any questions to ensure you have the best training experience possible. For those who meet the technical requirements, SLI offers Virtual Remote training. 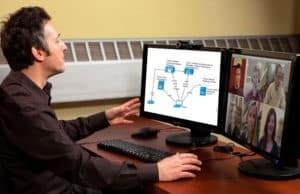 With this option, you still have two-way video interaction, but with the freedom to use your own equipment wherever they are located. 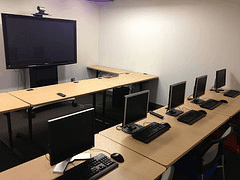 SLI will provide you with the bandwidth requirements, a link to the class, and steps to utilize your own equipment.